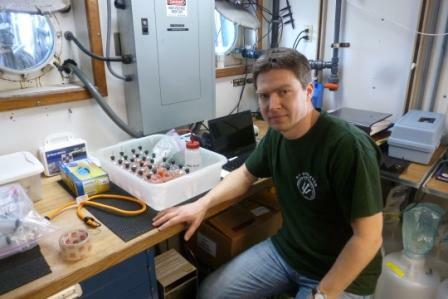 Enjoy a collection of photos of the scientists of the R/V Weatherbird II on the February 2013 Ocean Grazers Expedition. Science Personnel include Leslie Schwierzke-Wade (USF) – chief scientist, Matt Garrett (USF/FWRI), Karen Dreger (USF), Jonelle Basso (USF), Bo Yang, Elizabeth Brown (USF), Brian Wells (FSU), Lee Russell (FSU), Cedric Magen (FSU), Teresa Greely (USF), Matt MacGregor (Teacher at Sea), and Matt Flynn (Eckerd). 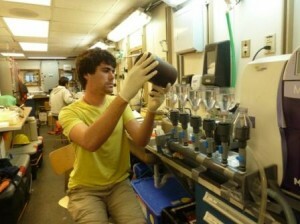 Cedric Magen is a FSU Post Doctoral student working for DEEP-C scientist Jeff Chanton. 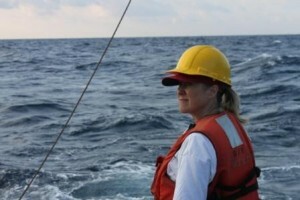 Teresa Greely is C-IMAGE Outreach Director at USF College of Marine Science. 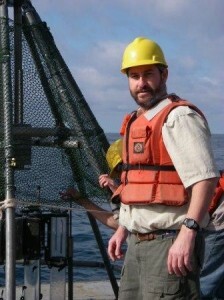 Matt Flynn is a Marine Biology student attending Eckerd College. Print article This entry was posted by greely on February 10, 2013 at 7:58 pm, and is filed under Oceanic Updates. Follow any responses to this post through RSS 2.0. You can leave a response or trackback from your own site.